There aren't many surprises at Uptown, which is exactly why we like it. 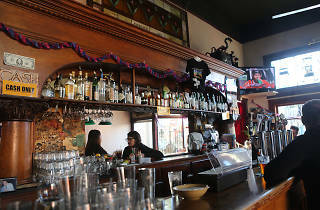 Though it's in the trendy Mission, surrounded by more glamorous drinkeries, the no-frills joint keeps it real. 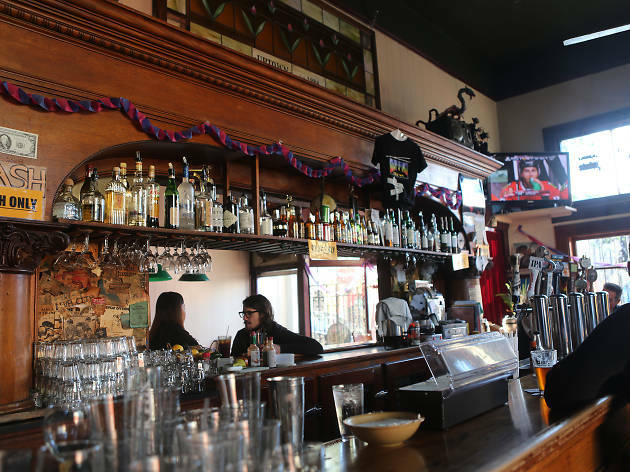 Join the regulars lazing on grimy but strangely inviting couches, catch the game on one of two TVs above the bar, have a game of pool or Simpsons pinball, and peruse the eclectic tunes on the jukebox. Bartenders serve a solid selection of cheap beers—including PBR, naturally—and are ready to provide a friendly ear and the voice of reason. Just make sure to bring some cash (no credit cards accepted), and you're set for the night.